My open-heart surgery had failed and the doctor’s told me that nothing more could be done. At age 45, I was diagnosed with terminal heart disease and sent home from the hospital to die. After 25 years of denominational Bible study, I still didn’t know anything that would change my situation. But, God showed me that I had a choice. “I set before you, this day, life and death.” “Choose life!” And that is what I did. I chose life by learning and applying what God’s Word said about my situation. 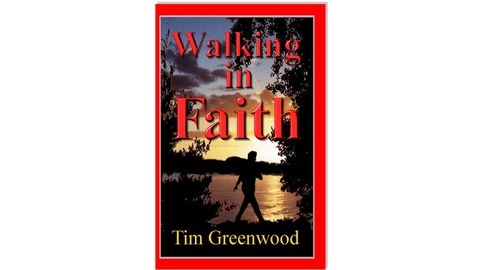 To do this, I literally had to begin “walking in faith!” I chose life and now I’m healed. My message is simple. If I can do it, you can do it! Many have already received healing through reading this little book. 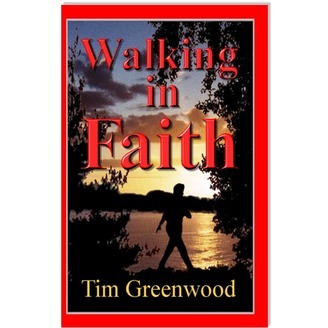 “Walking in Faith” was birthed out of the miraculous healing power of Almighty God. God’s love and miracle-working power are limitless, and available to all. God is so very good! This is my testimony of healing from terminal heart disease. But, more importantly, this is a step-by-step teaching of what I learned. This book is a short one hour read, meaty and right to the point. Chapter 9 - Conclusions: In this short but powerful chapter I warn the reader what to expect from the Devil and what to watch out for, as well as explain that the information in this book is not just a quick fix, but must become a way of life to retain the healing. Next I will lead you in three extremely important prayers: A prayer for salvation, a prayer for the in-filling of the Holy Spirit and an ongoing prayer for healing and wholeness. And finally, I ask the reader for feedback and give the reader the opportunity to help me print and mail copies of this book - free and postage paid - world wide - to the thousands of individuals which request it every year.